Carlos Eduardo González and his wife Indonesia Riera have three children: Santiago, Carlota and Genova … founded the Carlos González Foundation in 2014, which has raised money for Denver Kids, Denver Advocacy Center and the Denver Boys and Girls Club … additionally, Gonzalez is a frequent visitor at Children's Hospital Colorado, where he has visited patients on numerous occasions and has participated in events such as the Make-A-Wish Holiday Wish Store … attended Liceo Udon Perez High School in Maracaibo, Ven. … Twitter handle is @CarGo5. Was an NL All-Star for the third time in his career ... played 150 games, his second consecutive season of 150 games or more...Started in left field for the National League All-Stars, his third time starting the All-Star Game...Recorded 174 hits, his most since his career-high 197 hits in 2010...Recorded his 100th RBI of the season Oct. 1, his most since recording a career-high 117 RBI in 2010...Set a career high with 42 doubles … became the 10th player in Rockies history to record 40 doubles and 25 home runs in a season...Has now recorded five seasons of 25 or more home runs with the Rockies, tied for the third-most in franchise history … has recorded at least 10 home runs in all eight of his seasons with the Rockies, tied for the secondmost seasons with at least 10 home runs in franchise history (Larry Walker), behind Todd Helton's 13 seasons...Hit two grand slams, June 26 vs. Arizona and Sept. 5 vs. San Francisco … his six career grand slams with the Rockies are tied for the second-most in franchise history, behind Todd Helton's seven...Hit his 200th Major League home run Aug. 27 at Washington off Yusmeiro Petit … hit his 189th career home run as a member of the Rockies June 27 vs. Toronto, passing Troy Tulowitzki for fifth-most in franchise history...Recorded his 600th RBI as a Rockies player on Aug. 2, the sixth player in club history to reach the milestone...Recorded his 1,000th Major League hit April 20 at Cincinnati, a double off Raisel Iglesias...His career-high 19-game hitting streak from July 18-Aug. 13 was the longest by a Rockies player in 2016, tied for the second-longest hitting streak in the National League … batted .361 (26-for-72) with 11 doubles, four home runs and 24 RBI during the streak.,,Hit a home run in four consecutive games May 28-31 and in three consecutive games June 26-28. Won his second career Silver Slugger after recording a career-high 40 home runs. His 40 home runs ranked third in the NL behind Nolan Arenado and Bryce Harper (each tied for first with 42 home runs). Hit 27 of his 40 home runs in the second half ... tied with Dante Bichette (1995) for the most second-half home runs in franchise history. Batted .285 (74-for-260) with 49 runs, nine doubles, one triple, 27 home runs and 62 RBI in the second half after batting .259 (76-for-294) with 16 doubles, one triple, 13 home runs, and 35 RBI in the first half. Recorded six multi-home run games, all after July 24 ... had not had a multi-home run game since June 5, 2013 at Cincinnati ... now has 16 such games in his career, which is the fifth-most in Rockies history. Had back-to-back multi-home run games on two separate occasions, July 26-27 and Sept. 2-3 ... was the second player in Rockies history to have back-to-back multi-home run games (Vinny Castilla, July 7-8, 1995) ... was the first player in MLB since Jason Giambi (New York-AL) in 2005 to have back-to-back multi-home run games twice in a season. Between July 24-27, had multiple home runs in three of his four games. Was named NL Player of the Month for July after batting .386 (34-for-88) with 20 runs, seven doubles, 11 home runs, 24 RBI and eight walks ... the 11 home runs in July ranked first in the NL (second in MLB), and the 24 RBI were tied for first in MLB. Was named co-NL Player of the Week with Cole Hamels for the week of July 20-26 after batting .476 (10-for- 21) with nine runs, five home runs, 11 RBI and two walks over that span. His 2014 season was marred by multiple injuries and he finished the campaign on the 60-day disabled list...had two surgeries, one to remove a tumor from his left index finger in June and another to repair a left knee patella tear in August...His 70 games played and 281 plate appearances are his fewest in his seven-year Major League career...Despite the injuries and missed time, crushed 11 home runs and drove in 38 RBI...was his sixth-straight season with at least 10 home runs...the only Rockie with more seasons of 10-plus home runs are Helton (13), Walker (8) and Bichette (7)...managed nine go-ahead RBI and five game-winning RBI in his limited time...Had two separate 10-game hitting streaks in 2014, including a 10-gamer to begin the season (March 31-April 11), the longest of his career to begin a campaign...also had a 10-gamer April 28-May 8...Crushed his second career "Splash Hit" on April 11 at San Francisco (other: May 25, 2013) off Madison Bumgarner...is only Rockie with multiple "Splash Hits"...only Corey Dickerson also has a "Splash Hit" as a Rockie, also in 2014...Notched his first career five-hit game on May 6 vs. Texas...five hits is a career-high...Began the season as the Rockies left fielder but moved to right field when Michael Cuddyer was placed on the disabled list...had a perfect 1.000 fielding percentage in right field with two outfield assists in 17 games...Versatile defensive outfielder that has played 456 career games in left field, 200 games in center field and 135 games in right field...has three Gold Glove Awards. Was named to his second-consecutive (and second career) All-Star team in 2013 and notched his fourth-consecutive (and fourth career) 20 home run-20 stolen base season... Played just 19 games and just 41 plate appearances after the All-Star break due to a sprained right middle finger... Was the NL's most powerful slugger prior to his injury, as he led the Senior Circuit prior to the All-Star break in home runs (25), slugging percentage (.610), extra-base hits (53) and total bases (216)... Started his second-straight All-Star game, though was elected to the ASG by the fans for the first time in 2013... According to STATS, Gonzalez is the 15th player in Major League history, and the third active player (Carlos Beltran and Hanley Ramirez), to have four-straight seasons with at least 20 home runs and 20 stolen bases...Gonzalez's is the only streak that is still active in the Big Leagues...Barry Bonds holds the Major League record for consecutive 20-20 seasons with nine (1990-98)... Had his second career 3-home run game on 6/5 at CIN, when he went 3-for-5 with 3 HR and 6 RBI...the 6 RBI also tied a career-high (4th time)...he also had a multi-HR game on 5/14 at CHC and now has 10 career multi-home run games... In that 6/5 game, teammate Troy Tulowitzki also went 5-for-5 with 2 HR...according to Elias, it was the first time in MLB history a player hit 3 HR in the same game a teammate went 5-for-5 with 2 HR... Through four full Major League seasons (2010-13), Gonzalez has ranks among one of the top-five outfielders in the game in several different categories since 2010, including: batting average (2nd, .311), runs (5th, 364), slugging percentage (2nd, .556), and OPS (3rd, .926)... Although he has played strictly left field in each of the past two seasons (2012-13), the versatile defender has played 408 career games in left field, 200 games in center field and 118 games in right field in his six Major League seasons. Led the Rockies in several offensive categories, including: runs (89), hits (157), RBI (85), extra-base hits (58) and OPS(.881)...was Colorado's nominee for the Hank Aaron Award (2nd nomination, also: 2010). Named to first career All-Star team in 2012 and participated in first career home run derby...hit .330 (104-for-315) with19 doubles, 4 triples, 17 home runs, 58 RBI, 61 runs prior to the All-Star break. Hit over .300 (.303) for the 2nd time in his career, and had an .880-plus OPS for the third-straight season...also had the2nd highest home batting avg. in the NL at .368 (98-for-266). Became the first Rockies player with three-straight seasons with 20 HR/20 SB (2010-12)...is the only Major Leaguerwith an active streak of three-straight seasons with 20 HR/20 SB. Tied a Rockies record with two triples on 4/11 vs. SF...was his first career multi-triple game and 16th time in Rox history it has happened...it marked the 2nd time in Rox history for a player to triple in each of first two plate appearances(Also: Vinny Castilla 4/26/93 vs. CHC). Tied career-high with 6 RBI on 4/27 vs. NYM...had five RBI in the fifth inning, setting a franchise record for RBI in a singleinning, the previous high being four, done 74 times...the last MLB player to have 5-plus RBI in a single inning was MikeCarp for Seattle on 9/19/11 at CLE (3rd inning). Had a HR in four-straight PA's 5/30-/31 vs. HOU...was first player w/ 4-straight PA's w/ a HR since Albert Pujols 4/16-17/06, and 22nd player in MLB history...had 2B in next official AB for 5-straight AB's w/ a XBH, which is one shy of NLrecord set by Larry Walker 5/21-22/96. Had first career 3 HR game 5/30 vs. HOU...with HR in first PA on 5/31 vs. HOU set franchise record for most consecutive PA's w/ HR...3 HR 5/30 was already his 4th multi-HR game of 2012, and 8th of his career...13 total bases are newcareer-high, most for a Rockie since Larry Walker tied franchise record 14 TB 6/25/04...was 13th time a Rox player hashit 3 home runs in a single game. Earned his second-career Gold Glove Award in 2012...played the entire season as the Rockies left fielder after splitting time at all three outfield positions in the previous three seasons. Batted .330 (104-for-315) prior to the All-Star break and .261 (53-for-203) after the break. In what was his first full Major League season, Gonzalez led the Rockies in nearly every offensive categoryand carried a National League triple crown run into the season's final month...Became the fifth Rockies player to win the National League batting title...this is the seventh season aRockies player has led the league in hitting (Larry Walker led NL three times)...his .336 batting average(197-for-587) was 12 points higher than second place Joey Votto (.324)...Perhaps one of the most consistent hitters in the game, as the majority of his splits show minimal differences...he batted .320 vs. left-handers, .345 vs. right-handers, .356 in the day, .325 at night, .380 athome, .289 on the road, .331 with none on, .341 with runners on base, .350 with runners in scoring positionand .313 with the bases loaded...Finished among the NL leaders in several offensive categories, including: runs (111, 3rd), hits (197, 1st),home runs (34, 4th), RBI (117, 2nd), slugging percentage (.598, 2nd), OPS (.974, 3rd), total bases (351,1st) and extra-base hits (77, 2nd)...According to STATS LLC., Gonzalez became just the sixth player since 1959 to lead the NL in battingand finish in the top four of the NL in both HR and RBI...the other five to do so are: Matt Holliday in 2007,Albert Pujols in 2003, Dave Parker in 1978, Billy Williams in 1972 and Hank Aaron in 1959...Was named the NL Player of the Week twice in 2010...first for the week of 7/26-8/1 when he batted .533(16-for-30) with two doubles, a triple, four home runs and seven RBI with 10 runs scored...he was thennamed Player of the Week again for the week of 8/23-29 by batting .545 (12-for-22) with four doubles, atriple, four home runs and 11 RBI...Had the first cycle of his career (1B, 3B, 2B, HR), and the sixth in Rockies history, on 7/31 vs.CHC...capped the cycle by blasting his first career walk-off home run to lead off the 9th inning...ELIASSAYS: Only four other players in MLB history have hit a game-ending home run while hitting for the cyclein the same game: Ken Boyer (9/14/61), Cesar Tovar (9/19/72), George Brett (5/28/79) and DwightEvans (6/28/84)...Brett's homer was the only one of the four that did not "complete" the cycle...Versatile outfielder started 55 games in center, 51 games in left and 34 games in right...had an outfieldassist from each position, and finished tied for ninth in the NL with eight outfield assists...had the second-best fielding percentage in the NL among outfielders, with a .996 mark. In just his second big league season, Gonzalez hit .284 with 13 home runs, 29 RBI and 16stolen bases...set career highs in runs, hits, triples, home runs, RBI, walks, stolen bases and total basesdespite playing in just 4 more games than his 2008 rookie season with the A's (85 games in 2008)...hit .320with a .608 slugging pct. in the second half, an improvement on his first half totals (.202 AVG, .333SLG)...his .992 OPS in the second half was the 2nd-best total among Rockies, trailing only Troy Tulowitzki,who finished 2nd in the NL with a 1.042 OPS in the 2nd half...had 6 home runs in an 8-game stretch from8/11-19, including a career-best 4 consecutive games with a HR, 8/16-19...finished 3rd on the Rox with 16stolen bases, going 16-for-20 in stolen base attempts (80.0 pct. )...among all National League players withat least 16 stolen bases, his stolen base success rate was T-7th-best...hit leadoff in 26 games, and the clubwent 20-6 with him starting at that spot; hit .300 (.379 OBP) with 7 HR's in the No. 1 slot...hit first careerleadoff HR 9/5 vs. ARI, and added another 9/19 at ARI; 4th leadoff HR for Rox in '09 (also: Spilborghs, 5/2;Fowler, 4/8)...versatile defender started games at all 3 outfield positions (24-LF, 28-CF, 1-RF)...had an outfieldassist in 3 consecutive games at 3 different positions (6/28-LF, 6/27-CF, 6/23-RF)...hit .276 with 2 HR'soff lefty pitchers...went 0-for-5 with 3 strikeouts with the bases loaded...recalled from Triple-A ColoradoSprings on 6/5 and remained with the club the rest of the season...was hitting .340 (64-for-188), 10 HR, 59RBI at Triple-A prior to being recalled; his 59 RBI led all of Minor League Baseball at time of recall on June5...also ranked 8th in the Pacific Coast League in AVG, 2nd in extra-base hits (29), while ranking 2nd with7 triples and 3rd in runs scored (42)...made first Rox start 6/6 at STL as CF; club won each of his first 7starts, as well as 11 of his first 12, 15 of 17, 19 of 22 and 27 of 31...hit first HR in Rox uniform 6/18 vs. TB(5th career HR; 3rd career HR vs. TB in 8th career game against the club, as he hit 2 of his 4 HR's withOakland against TB in 2008)...had 12 K's in 24 AB's, 6/22-7/3...3 K's 6/30, 4 K's 6/22...played in 2 gamesagainst his former team, the A's; on base in all 4 plate appearances 6/28 at OAK; multi-hit games, 6/27-28at OAK...fell a HR short of cycle 7/8 vs. WSH; hit HR's in back-to-back games for the first time in his career8/11-12 vs. PIT...0-for-4 on 8/14 at FLA snapped 7-game hit streak (.370, 10-for-27, 3 2B, 3B 2HR's)...sliced his hand at home with a steak knife 8/22 and received stitches; was used in the immediategames following as a defensive replacement; also recorded a bunt hit...suffered bruised left thumb attemptingto make a diving catch 8/27, keeping him out of the starting lineup until 8/30...finished Aug. with 6 HR's,13 RBI - both career highs in any month...had career series, going 9-for-13 with 3 HR's, 4 doubles and 9RBI in the Rox sweep over D-Backs 9/4-6...had season best 12 extra base hits in September (4-2B, 3-3B,5-HR)...had multi-hit games in 4 of his last 6 contests, including triple and a home run 9/30 vs. MIL...had a.599 slugging pct. from the beginning of August on...finished the season going 29-for-106, 5 HR, 11 BB, 10RBI, 20 runs after returning to starting lineup (bruise left thumb). Continued his progression through the Arizona farm system as he spent most of the year at Double-A Mobile before earning a late season promotion to Triple-A Tucson...hit .286 with 16 home runs and 75 RBI in 120 games at Mobile and .310 with a home run and 11 RBI in 10 games at Tucson for a combined .288 average with 17 home runs and 86 RBI in a career high 130 games...tied for third in the Diamondbacks farm system in RBI and tied for fourth in home runs...tied for the Southern League lead in doubles (33) and extra base hits (52) and tied for third in total bases (218)...led Mobile in doubles, home runs and RBI...tied for the SL lead among outfielders in double plays (4) and errors (12) and was second in assists (12)...appeared in 95 games in right field, 22 in center field and one in left field with Mobile...all 10 of his appearances with Tucson came in center field...his .288 combined batting average included a .325 (105 for 323) mark with 14 of his 17 home runs and 62 of his 86 RBI against right-handed pitchers...hit .220 (39 for 177) against left-handers...also had a .375 on-base percentage and .560 slugging percentage against righties and .263 and .333 respectively against southpaws...hit .319 with runners in scoring position and was 4 for 10 (.400) with 14 RBI with the bases loaded...batted .256 before the All-Star Break at Mobile and .342 after the break at both Mobile and Tucson...12 of his 17 home runs were solo shots...saw most his playing time batting in the five (60 games) and three (41 games) spots in the batting order...hit in every spot except first, fourth and eighth...got off to a slow start as he hit just .206 with two home runs and 16 RBI over his first 36 games through May 15...then hit .357 with five home runs and 20 RBI over a 25-game stretch from May 16 to June 13 to boost his average to .270...capped that stretch with a season best nine-game hitting streak from June 4 to 13 (14 for 36, .389)...had his first of two two-homer games on June 8 against Montgomery...also homered twice on July 12 at Tennessee...had a season high four hits on July 26 at Montgomery...finished July with a .344 batting average, six home runs, 16 RBI and 19 runs scored in 23 games...then hit .338 in 20 games at Mobile during August...was 4 for 4 with a triple, a home run, a walk and a season high five RBI on August 6 against Birmingham...was promoted to Tucson on August 24 and reached base safely via hit or walk in nine of his 10 games with the Sidewinders...was named the Diamondbacks number one prospect by Baseball America following the season...played for Zulia in the Venezuela Winter League and hit .262 with two home runs and 15 RBI in 43 games. Spent the majority of the season with Single-A Lancaster before a late-season promotion to Tennessee for his first taste of Double-A ball...led Arizona farmhands with 99 RBI while ranking fifth with 23 homers...also hit .289 with 41 doubles and four triples in a combined 122 games...hit at a .294 clip against right-handers and a .276 clip against southpaws...had 35 multi-hit and 27 multi-RBI games...among all minor leaguers, he ranked tied for sixth with 68 extra-base hits and tied for ninth in doubles...topped the California League with a .563 slugging percentage and ranked fourth in RBI (94) and extra-base hits (60)...led all Single-A players in slugging percentage while ranking eighth in RBI, tied for eighth in sacrifice flies (9) and 10th in extra-base hits...was one of five JetHawks selected to the California League Postseason All-Star Team...recognized as a Baseball America High Single-A All-Star and a Topps Single-A All-Star...had two home runs and five RBI on April 16 vs. Rancho Cucamonga...named Cal League Player-of-the-Week for May 15-21 after hitting .379 with three doubles, three homers and 11 RBI...posted a pair of three-hit games and a four-hit affair with five doubles, one homer and 6 RBI from June 5-7...collected at least one RBI in nine straight games (14 RBI total) from June 11-22...boasted a .424 mark with 12 doubles, two homers and 26 RBI while hitting safely in 18 of 21 games in June...hit .583 with two doubles, two homers and four RBI in three games en route to league Player-of-the-Week honors for June 26-July 2...went 1 for 4 with one run scored as the starting right fielder for the World Team at the 8th Annual All-Star Futures Game on July 9 at PNC Park in Pittsburgh...clubbed a pair of homers on July 25 against. Inland Empire...promoted to Tennessee on August 15 and played in 18 games...during the off-season, he hit .318 with nine doubles, three triples, nine home runs and 41 RBI in 53 games for Aguilas del Zulia in the Venezuelan Winter League. Selected as the Midwest League's MVP and Prospect-of-the-Year...also garnered Baseball America Low Single-A All-Star and Topps Midwest League Player-of-the-Year and Single-A All-Star honors...among league leaders, he ranked second in hits (158) and total bases (252), third in RBI (92), fifth in runs scored (91) and seventh in batting (.307)...was named ML Batter of the Week, May 30-June 5...tabbed as the Arizona farm system's Player-of-the-Month for June after batting .400 with four home runs and 18 RBI...posted a trio of double-digit hit streaks: 16 games from June 1-17, 11 games from June 26-July 7, and 13 games from August 21-September 4...had two home runs and five RBI at Burlington on July 4. Tabbed by Baseball America as the third-best prospect in the Northwest League...hit .275 in 14 games for Single-A South Bend before a fractured right wrist landed him on the disabled list from April 30 to June 14...returned to action with Single-A Yakima on June 18 and hit five home runs in his first 11 games. Played for Rookie Missoula and ranked second on the club in games (72), at bats (275), runs (45), total bases (111), triples (4) and stolen bases (12), tied for second in hits (171), and third in doubles (14) and home runs (6)...went 4 for 6 with two home runs and five RBI on June 21 at Great Falls...selected by Baseball America as one of the top 30 prospects in the Arizona organization. April 14, 2019 Cleveland Indians selected the contract of OF Carlos Gonzalez from Columbus Clippers. March 19, 2019 Cleveland Indians signed free agent RF Carlos Gonzalez to a minor league contract and invited him to spring training. 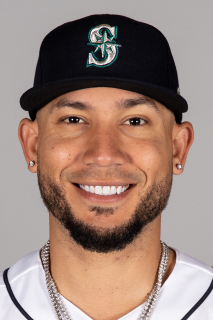 March 19, 2019 OF Carlos Gonzalez assigned to Columbus Clippers. October 29, 2018 RF Carlos Gonzalez elected free agency. April 30, 2018 Colorado Rockies activated RF Carlos Gonzalez from the 10-day disabled list. April 22, 2018 Colorado Rockies placed RF Carlos Gonzalez on the 10-day disabled list retroactive to April 19, 2018. Right hamstring strain. March 12, 2018 Colorado Rockies signed free agent RF Carlos Gonzalez. November 2, 2017 RF Carlos Gonzalez elected free agency. July 3, 2017 Colorado Rockies activated RF Carlos Gonzalez from the 10-day disabled list. June 26, 2017 Colorado Rockies placed RF Carlos Gonzalez on the 10-day disabled list. Right shoulder strain. November 3, 2014 Colorado Rockies activated RF Carlos Gonzalez from the 60-day disabled list. August 24, 2014 Colorado Rockies transferred LF Carlos Gonzalez from the 15-day disabled list to the 60-day disabled list. July 11, 2014 Colorado Rockies activated RF Carlos Gonzalez from the 15-day disabled list. July 11, 2014 Colorado Rockies activated LF Carlos Gonzalez from the 15-day disabled list. July 7, 2014 Colorado Rockies sent OF Carlos Gonzalez on a rehab assignment to Colorado Springs Sky Sox. June 4, 2014 Colorado Rockies placed LF Carlos Gonzalez on the 15-day disabled list. Left index finger inflammation. September 3, 2013 Colorado Rockies activated LF Carlos Gonzalez from the 15-day disabled list. August 31, 2013 Colorado Rockies sent LF Carlos Gonzalez on a rehab assignment to Colorado Springs Sky Sox. August 7, 2013 Colorado Rockies placed LF Carlos Gonzalez on the 15-day disabled list retroactive to August 5, 2013. Sprained joint of the right middle finger. August 7, 2013 Carlos Gonzalez roster status changed by Colorado Rockies. August 22, 2012 Colorado Rockies activated LF Carlos Gonzalez from the bereavement list. August 18, 2012 Colorado Rockies placed LF Carlos Gonzalez on the bereavement list. October 11, 2011 OF Carlos Gonzalez assigned to Aguilas del Zulia. August 6, 2011 Colorado Rockies activated LF Carlos Gonzalez from the 15-day disabled list. August 3, 2011 sent OF Carlos Gonzalez on a rehab assignment to Colorado Springs Sky Sox. May 12, 2010 Colorado Rockies activated CF Carlos Gonzalez from the bereavement list. May 9, 2010 Colorado Rockies placed LF Carlos Gonzalez on the bereavement list. October 8, 2009 OF Carlos Gonzalez assigned to Aguilas del Zulia. June 5, 2009 Colorado Rockies recalled LF Carlos Gonzalez from Colorado Springs Sky Sox.